Our Society grows when chapters grow, so we are investing today for your success. Our growth investments in programs, volunteer leadership, personnel and strategic planning over the past year have been unprecedented. We have added dedicated resources to support the life of our chapters through the Healthy Chapter Initiative. We’ve completed a sweeping effort to understand our past and present barbershop world, as lived by you, and told in your words, through the Chapter “Gut Check” Survey, Member Survey, and Associates Survey. We’re synthesizing your needs and dreams into a comprehensive Strategic Plan — a decades-long view of a future world of singers preserving the joy of ringing chords together. We’ve reached more people with the sound of barbershop and the rewards of the barbershop experience: the joy of singing, the joy of friendship, the joy of joining together, and the joy of making a difference in people’s lives. 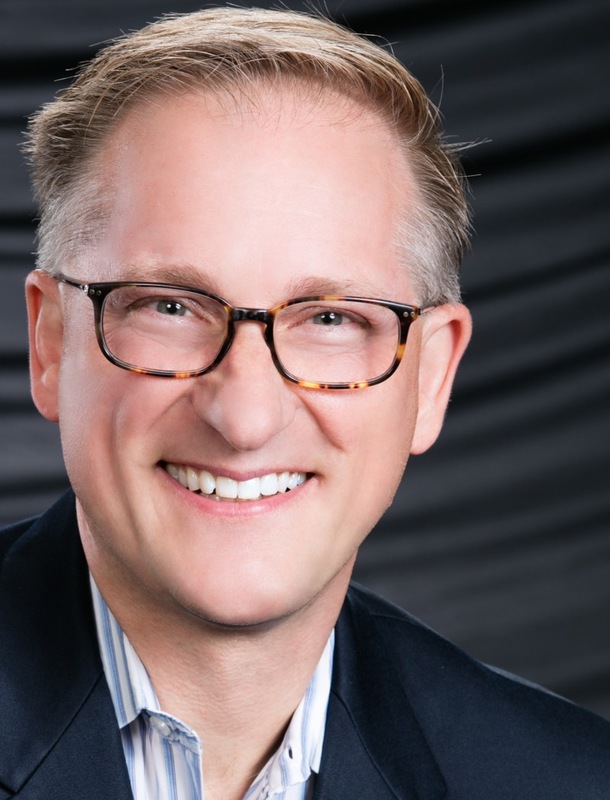 If you want to grow—as an individual, quartet, or chorus singer — then your Society is ready to help you. You can augment your weekly chapter experience by becoming a better educated singer, more engaged with the life of the global barbershop movement, and have more fun in more settings! Our Harmony University team continues to deliver more content online (more than 50 new videos released in the past year) and more class options at our weeklong school at Belmont University in Nashville. Harmony University offerings at Midwinter and International Conventions mean more ways for you to learn from worldwide-recognized experts — free with your registration! Our music publications team has dramatically increased the number of titles published, and introduced more voicings for the education market (SSAA) and the growing fans of mixed harmony (SATB). The All-Chapter Chorus and the pilot Seniors Chorus Festival at Midwinter were huge successes. 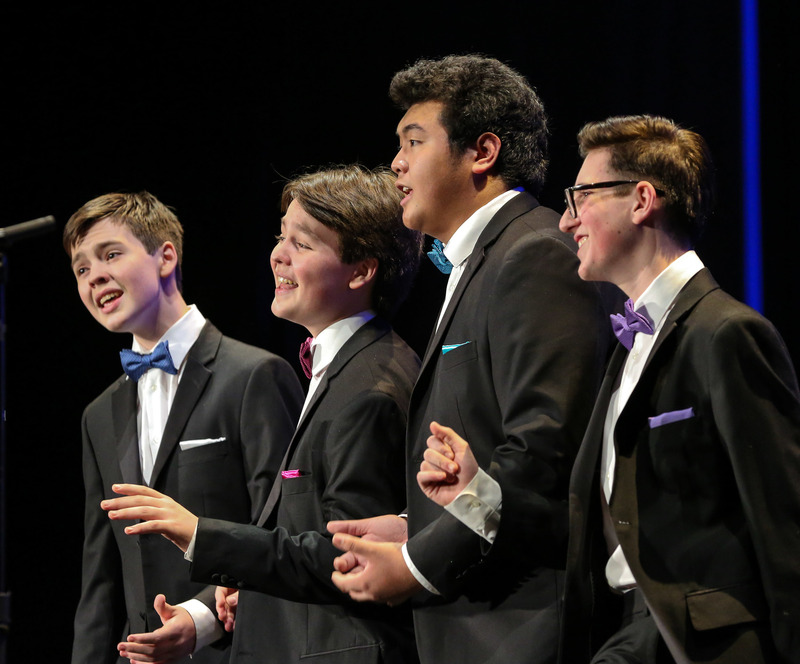 Both are permeating into the District conventions, encouraging more singing time for our attendees and attracting those who might not normally attend a District convention because they aren’t interested in competition, just the joy of singing with their barbershop brothers. We have created a dedicated full-time staff member who services and fields calls and correspondence for ALL chapter and district leaders about best-practice, including what resources are available. Working through the Leadership Operations Project Team, we have deployed new BHS Leadership Curriculum Topics for chapters and districts. We have published and commissioned the "THINK" program that has already been introduced and impacted close to 100 chapters this past year. 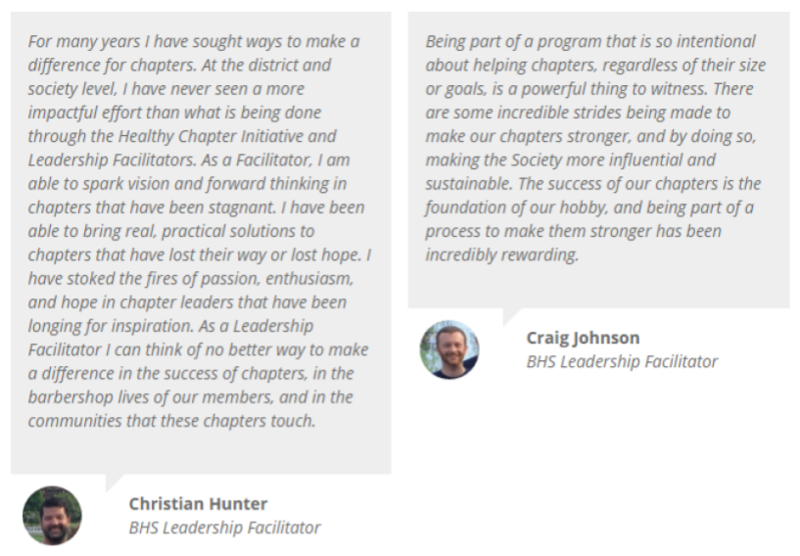 We’ve commissioned 15 Certified Leadership Facilitators who have made an impact at 7 districts this Leadership Academy cycle and have already packed in more than 200 hours of engagement with chapters. We have published online many more baseline tools and resources that chapters need to do their valuable work -- training videos, updated manuals, tutorials, easier accessible document center, and more. Meanwhile, the Society has been able to grow our programs and budget by nearly 21%. How? One reason is we are seeing increased interest by non-members in our services and programs. Our Midwinter Convention in San Antonio was a virtual sell-out, reflecting the variety and strength of the show, contest and education offerings. Las Vegas 2017 will continue to expand the range of entertainment, and with our least expensive rooms starting at $104 per night, it might be the best-value convention you’ll ever attend. Philanthropy within our membership continues to grow, with donations through Harmony Foundation International fueling programs in outreach, chapter support, and continuing education through Harmony University. Your contributions have reached over 100,000 people, which is significant growth, considering that four years ago the Outreach department didn’t even exist. Thank you! You are building it. We are building it. We are making a difference in people’s lives with every chord.